Villa Bayu Segara is located in sumptuous tranquility on the beachside in the North of Bali in the village of Brongbong. It offers an unforgetable stay in total privacy and seclusion. The carefully designed and created Villa under German and Dutch management with many details was newly built in 2013; it shows contemporary lifestyle and luxury combined with a typical modern Balinese touch. The villa has two storeys with sea view in an open design and features 3 air-conditioned bedrooms, large living areas indoor and outdoor, several terraces, a fully equipped modern kitchen with bar, storage and laundry, a 12m infinity pool with sundecks extending into a rich tropical garden which is surrounding the villa. A small river is flowing along the property and leads to the ocean not even 100 metres away. Through a private access you reach the black sanded beach within a 1 minutes` stroll. The staff is ready to fulfill upscale travellor`s expectations to make your stay to an outstanding and unforgetable experience. 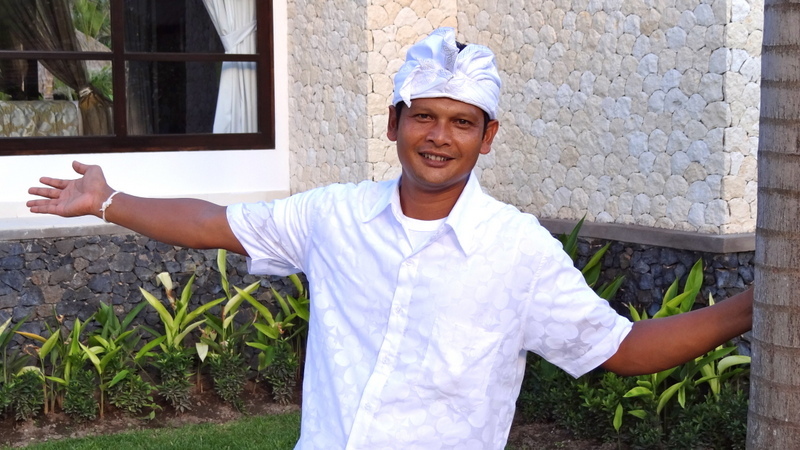 Villa Bayu Segara is located in the north of Bali in the small village of Brongbong which is situated some kms west of the tourist centre Lovina, between the small town of Seririt and the diver’s spot Pemuteran. The property is far away enough from the tourist crowds to ensure total privacy but still close enough to offer easy access to north Bali’s interesting places.